Monday, again! And time to plan for the week ahead. Wasn't going to join in this week, didn't see much point as I'm going away to the lovely The Olde House in North Cornwall on Wednesday for three nights. We generally tend to eat a lot of bacon and egg sandwiches, crisps and chocolate! Didn't see much point actually posting that, as I won't be staying on Slimming World plan, no incentive as I'd had a bad week. I felt a little out of control, not sticking to plan. I ate a lot of bread (fish finger sandwiches, sausage sandwiches, peanut butter and jam sandwich. You getting the picture?) I was also given a huge bar of chocolate while staying away with work. I packed it in my case, so I wouldn't be tempted but ended up leaving the M5 at Bristol and unpacking it to scoff on the way home! How bad is that!? 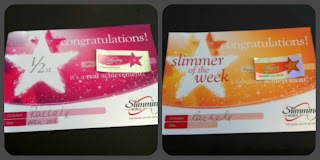 I managed to lose 3.5 pounds this week and also won slimmer of the week! How did I manage that? No really, How did I manage that???? When home, I did have SW Chinese five spice gammon with salad and chips and chicken cooked in paprika tomato sauce with rice and greens. I also think I ate smaller sized meals, little and often. So looking back, the good must have outweighed the bad! Yay!!!! 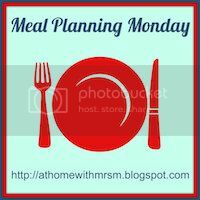 Which has inspired me to post and menu plan this week and try to limit the damage while I'm on holiday. I did say in group I wasn't staying on plan. (I think I actually said I was just going to SOD IT). Been a tough few months and I deserved a blow out. But this weeks loss has helped me reassess, given me a boost and made me want to keep the good work going. I'm having beef stew tonight ( I can smell it as I type) which is Syn free, as all the fat is trimmed off the beef and I won't be having dumplings. When I'm back from holiday on Saturday I've already planned to have a takeaway pizza (Well, I'm still on holiday) But Sunday it will be a SW roast chicken with all the free veg. I'm going to take away with me my lovely Tefal frying pan, which makes fantastic fried eggs with no fat! The bacon will be grilled, the bread brown, with no butter or ketchup. I'll also take the fruit I won as Slimming of the Week, which should help me cut the chocolate down a bit. And when I'm eating out, have what a fancy, but smaller amounts. So what do you think? Tell me what you are having and join in by leaving a comment. and play and will challenge your memory. and then move on play more games. The only downside of it in a lot of people's eyes is the fact that there is no multiplayer content. But what happens when a player runs out of race tokens. to do this is simple, you can unlock the true potential of your purchase. finding it very troublesome to inform the reality however I will definitely come again again. main title. ' Game begins with a reasonable limit, but it gradually increases to excess as it becomes interesting and compelling to player. I'm more than happy to find this website. I need to to thank you for ones time for this particularly fantastic read!! I definitely liked every little bit of it and i also have you book marked to check out new stuff in your web site.